Based on a salacious true story, this hard-boiled noir follows the scandal that erupts when film star Evelyn Hart's name is found in a call girl's little black book. Her manager hopes hiding out in her home town of Scranton will save her career, but the past Evelyn ran from is harder too shake off than Scranton coal dust. As part of Carnegie Mellon University's New Works series, I directed the world premiere of Kate Mickere's The Scranton Siren. 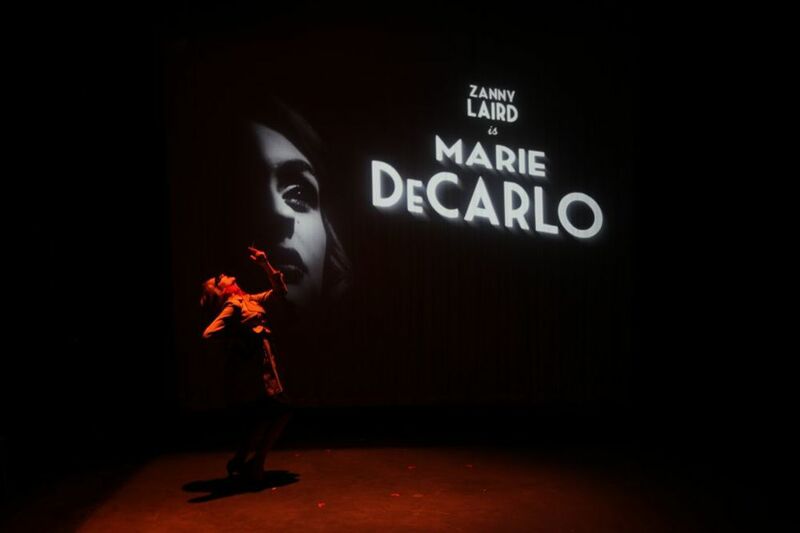 I took inspiration from the rich tradition of film noir to create a visual and performance style for the piece.An opening credits sequence brought the world of the screen down to the stage. Period-inspired sound design ramped up the suspense. Light and shadow helped transform the playing space into a dozen different locations, and tightly choreographed scene changes allowed the action to glow like a cinematic dissolve. I coached the actors to take inspiration from classic noir acting style, mining the comedic script for humor while not stumbling into parody. Performers: Tsilala Graham-Haynes, Zanny Laird, Carl Lundstedt, Antonio Marziale, Joe Mendick, Thomas Constantine Moore, and Ashley Twomey.